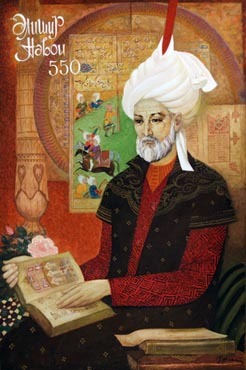 Elmira Sahtahtinskaya, Portrait of dedicated to Ali Şir Nevai's 550th year, 1991, Oil on canvas, 90x60 cm. 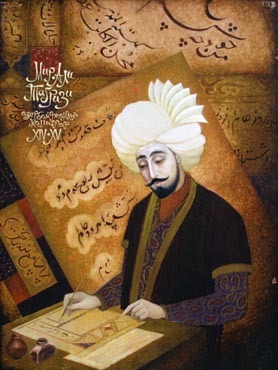 Elmira Sahtahtinskaya, 1991, Oil on wood, 100x75 cm. 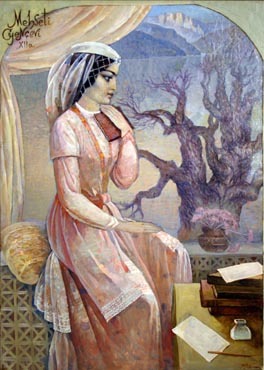 Elmira Sahtahtinskaya, 1990, Oil on canvas, 100x71 cm.